Have you ever considered the effect shame has on your life? Researchers have found that shame plays a different role to guilt in our lives. Guilt is a response to our own sense of failure or ability to meet expectations. In that capacity, it can actually motivate us to act and improve ourselves. But shame is less gracious—it gives us no leeway. Guilt revolves around our behaviour, where as shame is about our worth. If we live believing we are unworthy of connection, then our relationships and our purpose are always in question and no matter or positive action will change how we perceive ourselves. So how do we overcome shame? Rather than sweeping our own insecurities under the rug, we actually have to give a voice to our shame in order to be free of it. 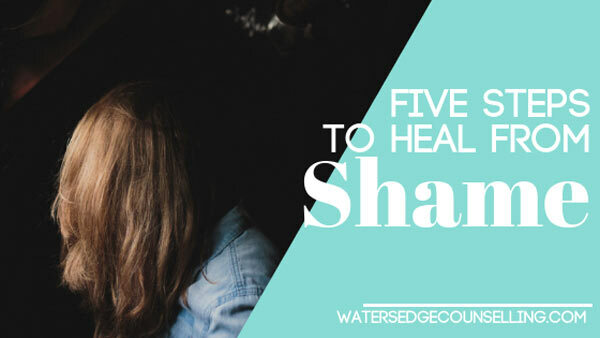 This infographic by Dr Sona Delurgio details five steps we can take to heal from shame. And while it’s not a simple checklist, this is a great way to begin your own healing and understand what shame looks like in your life. By learning to know yourself, value yourself, showing up in relationships, healing old hurts and getting help, you can break the grip shame has over your life and fully embrace your own worth and dignity. Do you live in a constant state of guilt and shame? Would you like to experience true connection and belonging? Here’s what you need to do: Contact Colleen on 0434 337 245 or Duncan on 0434 331 243 for a FREE 10 minute consultation on how we can best help you or book online.